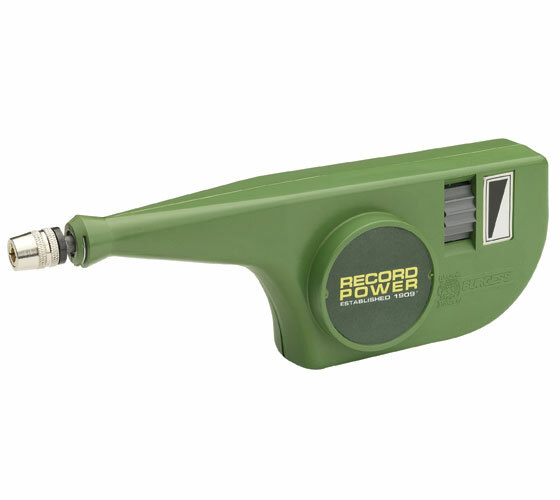 The Record Power Burgess engraver has been the standard industrial engraver for many years. This is due to its unique hammer action that engraves the workpiece in a far more efficient and controlled manner than rotary tools. 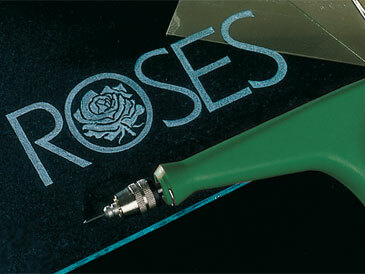 The engraver works using a rapid hammer action to indent the workpiece, rather than removing material. 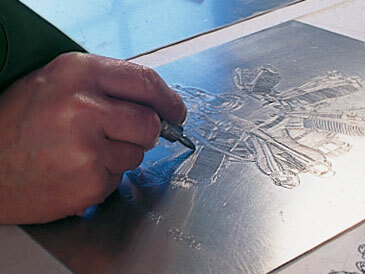 This method means the material keeps its strength and the user has more control over the tool compared to that of a rotary action engraver. 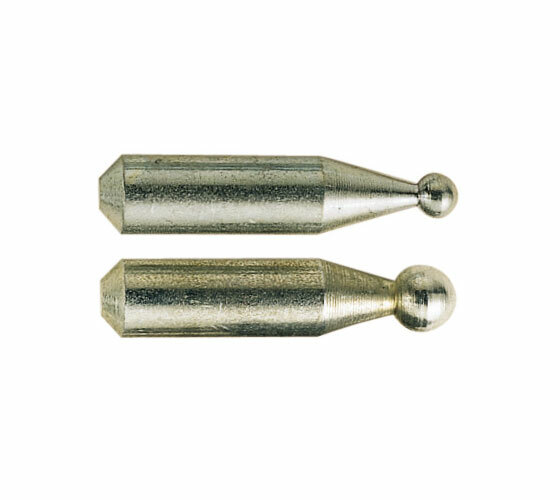 The engraver can be finely adjusted to give varying depth of point penetration, enabling exact results on a wide range of both hard and soft materials such as steel, alloys, plastics, glass and even leather and lino. 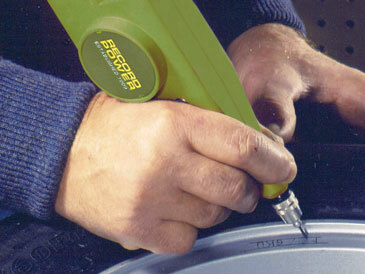 Designed to fit comfortably in the hand for superior control and supplied as a kit in a handy plastic storage case. 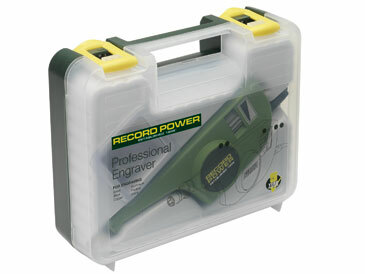 The engraver is supplied in a handy storage case. 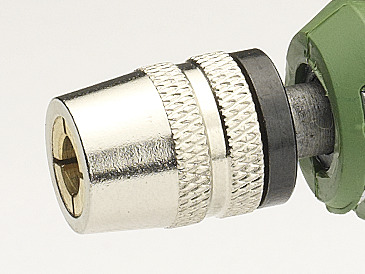 The universal chuck’s four contracting jaws are machined from solid bars to ensure no damage will be caused to points even when fully tightened. Accepts our full range of points.